Pinstripe is a Mozilla theme made to match the look and feel of a native Mac OS X interface. The theme was designed to compliment both the Aqua and graphite OS appearances. If you’re using an alternate theme engine such as Duality, Pinstripe will not honor your theme prefs for the toolbars, but may render some of widgets based on your theme. This update to the stand-alone Pinstripe theme turned out to be more of a redesign than I originally intended. Stephen Horlander sent in a cool concept for the browser tabs. Check out the etched text on the inactive tabs. You’ll see some of the other details in the screenshot below. The theme has some rough edges but should be usable. As always I appreciate your feedback. Click on the thumbnail for a full screenshot. 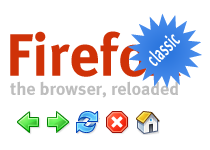 The Firefox 1.x classic default themes, called Pinstripe on Mac and Winstripe on Windows, are available for your installing and downloading pleasure. These are simply stand-alone versions of the Firefox themes before the Firefox “visual refresh” landed. The themes require at least Firefox 2.0b1. I will work on them in the coming weeks to smooth out the rough spots. I tested the themes on my machines but they may be buggy. Please let me know if they don’t work for you. By the way, you can get the Illustrator and Photoshop files used to make these themes here. Finally. Here’s a version of Pinstripe for the Mozilla suite. I’m not done yet but I thought I’d share what I have so far. The status bar icons need some work. I didn’t touch the Composer or Chatzilla components so they still have a partially Classic look. Click here to install. Mac OS X only please. 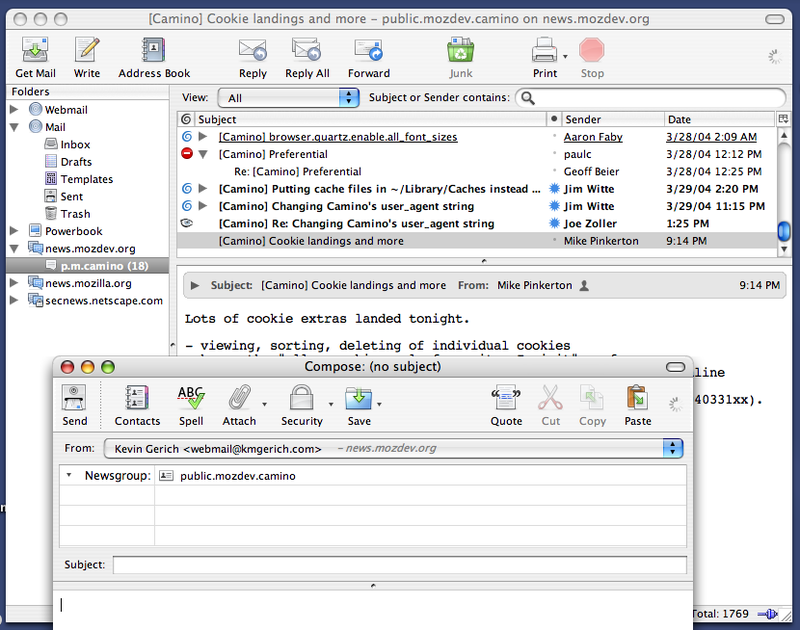 I’m proud to announce that Pinstripe has become the new default theme on the Mac version of Mozilla Thunderbird. The theme is a collaboration between myself and designer Stephen Horlander that attempts to make Thunderbird feel right at home on the Mac desktop. Here’s a picture of the theme in action. You can try it yourself by downloading the latest nightly build (11MB gzipped disk image). Thanks to Scott MacGregor for his help and patience. New Name. New Look. New Icon. The program formerly known as Phoenix and Mozilla Firebird has just released version 0.8. This version is faster and more stable than before and has more neat features than you can shake a stick at. Check the release notes. It also features the Pinstripe theme as the new default look on Mac OS X. Download it here! Note: The Firefox UI may appear broken if you are using a previous version of the Pinstripe theme. Go into your theme preferences, select “Firefox (default)”, then close and reopen the browser to make sure you are using the latest incarnation of the Pinstripe theme.